We think this is the best form of this winter blooming shrub/tree. 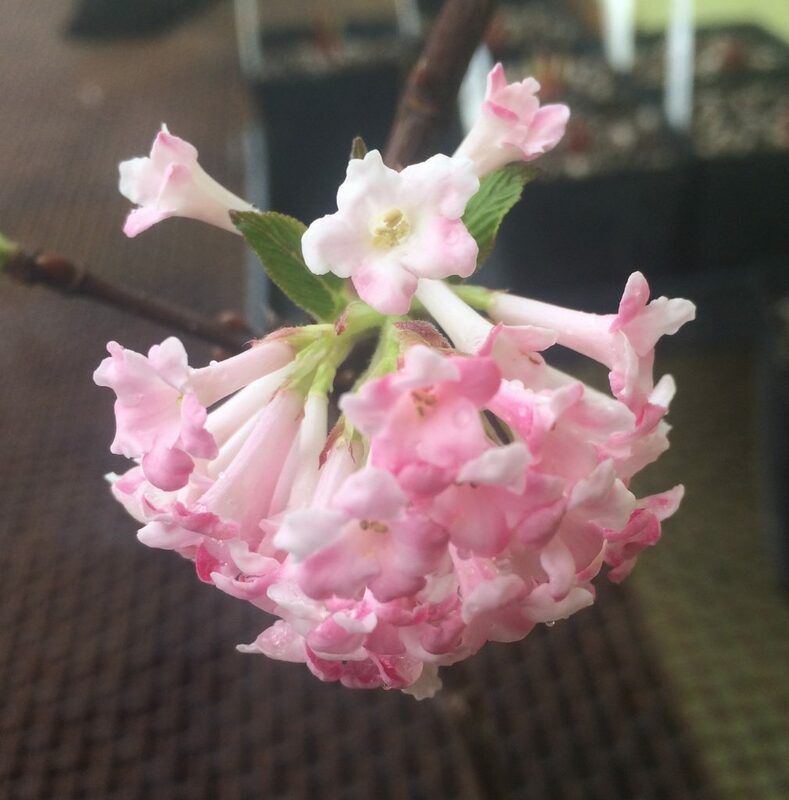 Large clusters of pink flowers change to white upon opening. Flowers begin in December and continue to open until March. A very long season of bloom at an important time of the year. The tubular flowers are sweetly fragrant. Tall growing vase shaped shrub to 12′ tall and half as wide. Fall color is soft peach and red and showy for quite a while. Full sun to quite a bit of shade in rich to average well drained soil with regular summer water. Great scaffold for summer blooming Clematis. Make this the star of your winter garden. Cut flowers last for a long time in a vase.